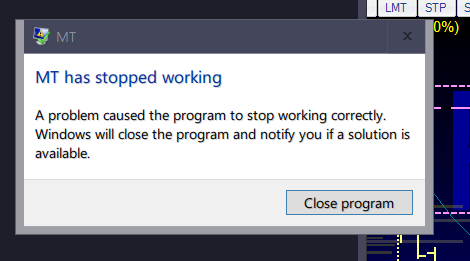 When trying to view help menu (from file menu or clicking something that opens Help menu) MT crashes. what exactly do you mean by "crashes"? Are you getting some error message? If so, please copy / paste the error in here. and if it is, can you try opening it and see if there are any issues? MT.CHM is there and it opens fine when clicked on directly.